As the landscape of the work environment changes, the Generation Do-It-Yourself (#GenDIY) campaign provides ideas and resources to young adults who are looking to identify what is important to them and turn their passions into a rewarding career. Developing an innovation mindset is a common theme for #GenDIY. According to GenDIY, people who have innovation mindsets possess qualities such as “perseverance, initiative, collaboration, tenacity, and curiosity.” How can classroom teachers give students opportunities to develop an innovation mindset and build these important skills? Model an innovation mindset in your classroom. In our social media focused world, we often see only pictures or posts that reflect perfection. In reality, innovation is messy. Our students need to see examples of the mess. Are you trying something in class that is innovative, yet outside your comfort zone? Tell your students! In my experience, students get excited when they hear they are part of something new. Did you work through any failures? Tell your students! They need to hear that ideas don’t always work the first time. When issues arise during class, ask the students for input on how to fix the problem. Last year, I created a 3D printing project that required students to design and test the strength of an object. Student designs went in a different direction than I expected, and testing became difficult in the limited time we had for the project. My students took the testing issues in stride and came up with some helpful suggestions for next year to prevent issues with testing. Because students were part of the innovation, they took ownership of making the final product better. Implement Project-Based Learning (PBL) or Challenge Based Learning (CBL) in your classroom. Many students are interested in a career that enables them to make a positive impact on society. PBL and CBL are perfect frameworks for projects that give students an opportunity to apply material they are learning to solve a societal problem. Short on time? 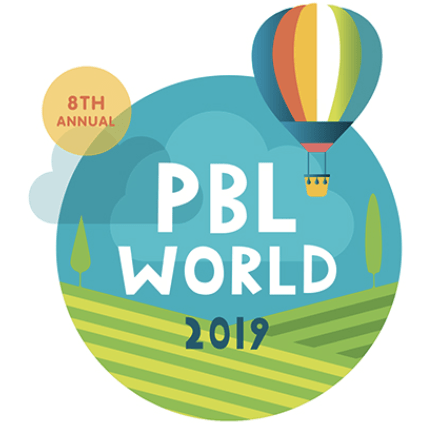 Running even one PBL or CBL project each year provides an important opportunity for students to collaborate with their peers, gather requirements, use design thinking, design, and test solutions, make revisions based upon testing, and present to an audience. If your school has a makerspace, further spark student innovation by working on the projects in that space. If the project impacts your school or community, ask school officials or community members to provide requirements and constraints, invite them to the presentation, and ask for their feedback at the end of the project. A wonderful extension that hits on entrepreneurism would be working on how to get the solution to market. Share news about innovation related to your subject area. One of my math classes took a very quick look at topology this year. When I see an article related to an application of topology, I share it with my students. We may all decide that we don’t have enough knowledge of the workings of topology to understand the details, but we brainstorm where to find videos or resources that could provide additional information. It is important to point out how long the innovation was in the works, if that information is stated in the article. Students are often surprised to find out that researchers, especially in math, have been working on the same problem for years. Create opportunities for students to talk to professionals at various stages of their careers. One of my school’s student groups recently toured and participated in a career panel discussion at a prestigious research institution. The career panel consisted of recent graduates and more experienced employees. The students were impressed by the potential societal impact of the research of each panelist. They were both amazed and relieved to hear that most of the panelists took non-traditional paths into their current roles, gaining experiences along the way that contributed to their success. The panelists gave tangible advice to the students to consider as they embarked on college and career decisions. What a testament to the innovation mindset qualities of perseverance, initiative, collaboration, tenacity, and curiosity! Of course, adults at school may be giving students the same advice, but the stories of the panelists captured the attention of the students in a different manner. A final word of advice: however you decide to bring innovation into your classroom, make sure it is authentic. Students will benefit most from authentic opportunities to experience or hear about success and failure as they learn how to cultivate an innovation mindset. Next articleNow That Schools Are Promoting Broader Definitions of Success, How Do We Measure Progress?